Action24 register your address on the Garda Pulse System. The Gardaí only guarantee to respond to alerts from a registered alarm. 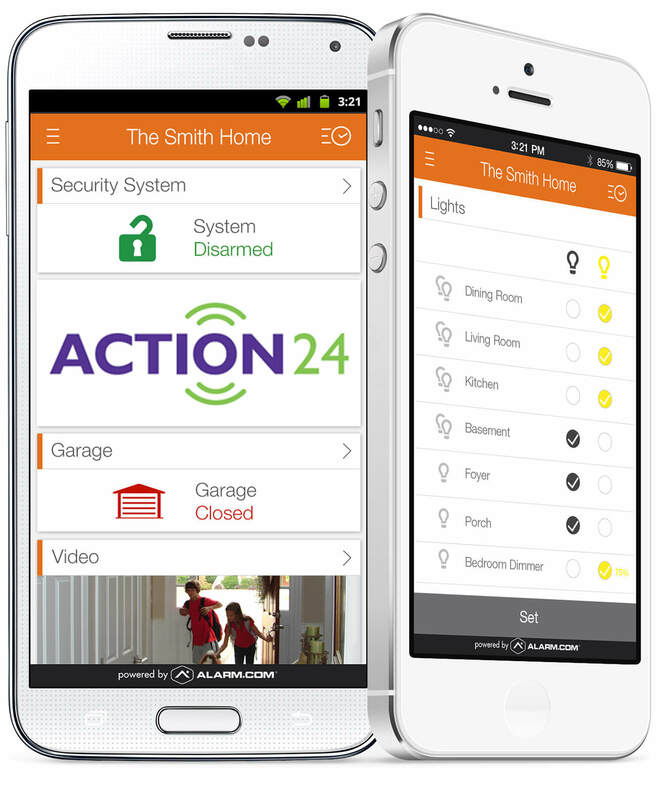 Action24 Smartphone App (powered by alarm.com) to control your system, your way. Action24 Alarm Systems...Home Automation made simple! the same app with the same user friendly functionality. It's Irelands best wireless security system. Control Your System. Your Way. Your alarm panel can be simply controlled by three different methods. All Action24™ HomeTouch™ alarm systems come with the award winning alarm.com App as standard.We have partnered with alarm.com to bring the leading home security and automation app for your home. The app is the market leader and will revolutionise the way you use your alarm system. Custom Notifications – Receive real-time alerts via text, push notification, email or phone call. CCTV – View live CCTV footage from your home along with up to 1,000 saved clips. Available for iPhone, iPad, Apple Watch and any Android device. 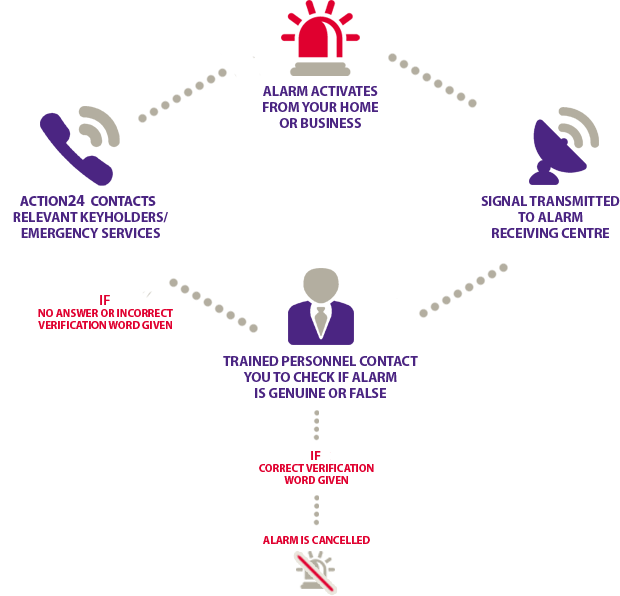 Accessible from any Smartphone or Tablet from m.alarm.com. Connect and control your alarm system, CCTV system and lights for seamless automation and control from your Action24 app.